Episode 20 explores Dr. Cabrera’s role and philosophy as a public scholar in the context of systems of tenure. 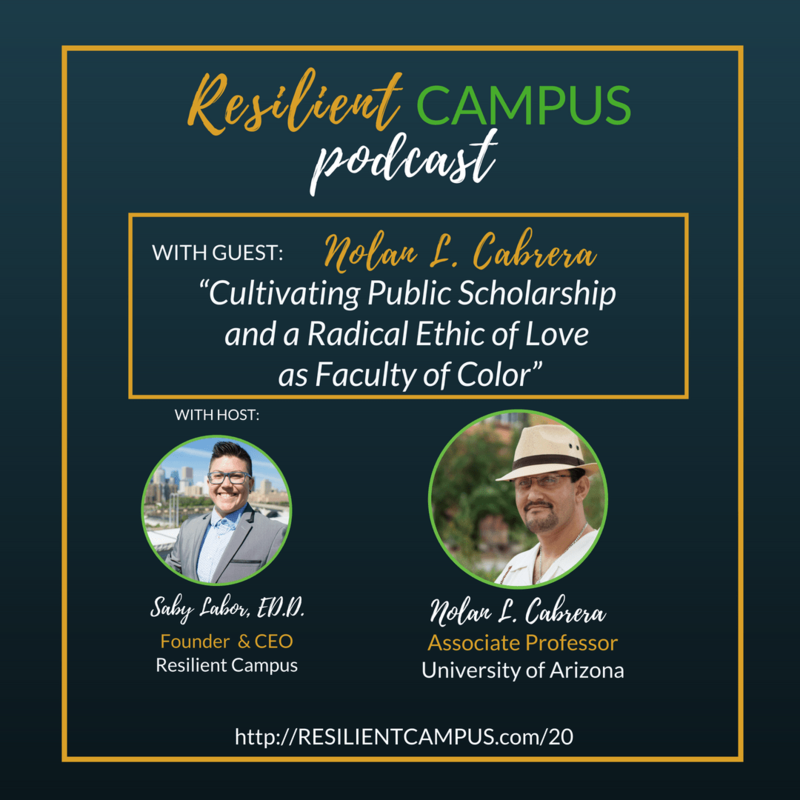 He speaks about the Influence of college presidents in setting the tone for serving first-generation and low-income students as well as where he finds a supportive community of scholars of color to practice vulnerability. To end, Dr. Cabrera shares two of the biggest lessons imparted by his mentors and offers guidance for scholars of color in their own efforts to make social impact as faculty. You’ll be left inspired and reflective after this incredible episode!